The Invisalign is a new kind of products that help people who want straight teeth and gorgeous smile but do not want to wear metal braces that are visible to outside. It is made up of a series of clear braces also known as aligners. These aligners are custom designed braces, and they are barely visible and very less painful than the traditional braces. These trays are made of thermoplastic material and they are detachable braces. So patients do not need to wear the braces all the time and they can adjust or repair their dental settings within short time. 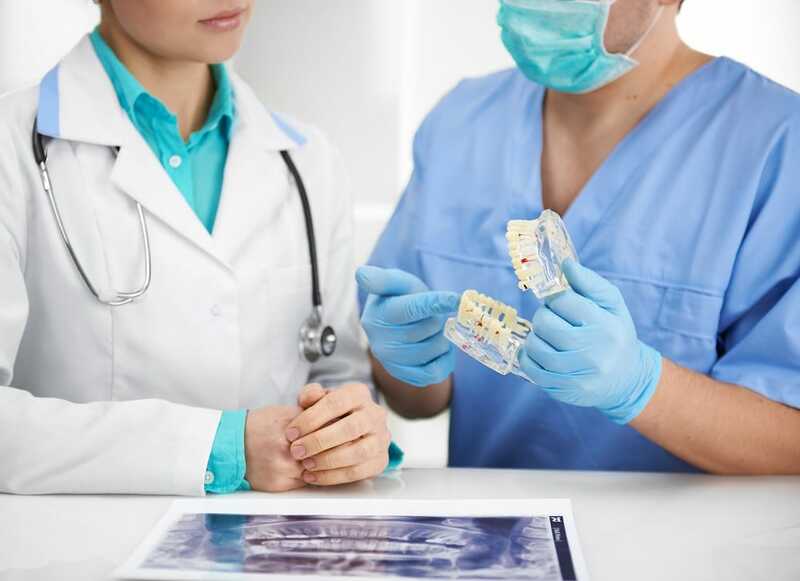 The process starts with the orthodontist who takes some molds of the patient’s teeth. This process is painless, but the feeling is not pleasant. The process is done under 10 minutes. After that, the molds are sent to the Invisalign. After that, the patient is shown a customized video prepared by the orthodontist who shows the shifting of teeth day by day. It generally takes three weeks for the arrival of the trays. There are two things may have to be done before starting the Invisalign. Attachments – In some cases with little clear bumps, the teeth are glued and then hardened with a unique light. This helps the aligners in shifting certain teeth more than others. These are invisible and clean and are removed after the treatment is done. Filling – The orthodontist may need to file some teeth from the sides a little bit to create room for shifting of the teeth. Invisalign sends a chart which helps in determining which teeth and how much it needs to be filled. These treatments are sometimes considered not proper for children. Adults may have problems wearing metal braces like feeling frustrated and self-conscious as adults need to be constantly interacting with clients and colleagues. So most adults prefer Invisalign as they are almost invisible and allow them to smile confidently. These are also removable and adults can take them out anytime as per their convenience. The Invisalign treatment process mainly consists of 3 stages that are consultation, assessment, treatment plan. Adult patients are more motivated by esthetic treatment options of orthodontic treatment. They generally reject the use of fixed appliances and seek more thermoformed and lingual orthodontics. Adults have a variety of periodontal and restorative problems that are more difficult to treat. When Invisalign was introduced in 1999, the majority of dentists didn’t bet on its success. Now several clinics have published about the applications of this technique in the treatment of various types of malocclusions. Sue to several advantages, especially the invisible benefit of invisalign, people prefer this and now you can also contact with your dentist to implant invisalign for better dental settings. The patient should be taking better care of the teeth while undergoing treatment and using Invisalign. The teeth should be brushed after every meal. The trays should also be brushed for prevention of odor. Odor from Invisalign is normal and can be aided by brushing the outer and inner parts of the trays. The patient should also floss every day. Adding a cleaning agent to the cleaning process is a smart idea. This will prevent the odor from the trays and will keep it clean. It is suggested to take care of invisalign after implantation and in this regard, you can take further assistance or suggestions from your dentist.